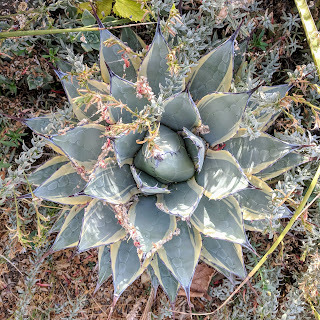 This weekend, I marvelled at how unique the agaves look from above. Because that was better than marveling about how giant my pile of trimmings were, even though i still had so much to go! I've been looking at the plant catalogs and websites... i think more new agaves will be joining the garden this year! I hope you're getting some of this rain. We're being pummeled at the moment! we are getting gentle, happy rain right now, and have been all day! It's actually absorbing into the ground! I hope the burn areas will be ok... Cream spike seems to have a lot of variation, especially between younger and older forms? I like A. parrasana and enjoyed my few ages ago. 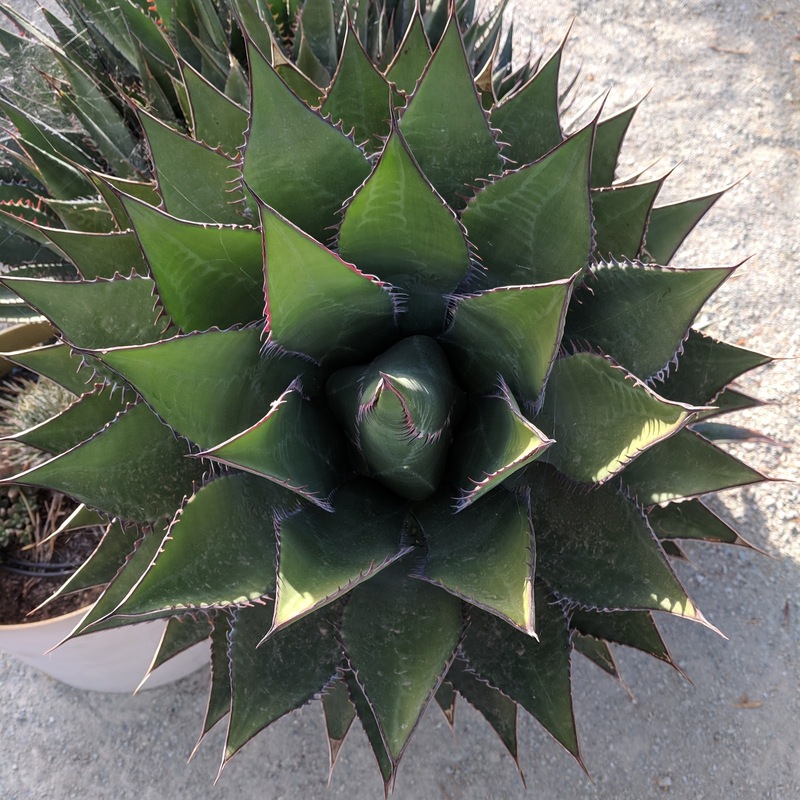 'Crazy Horse' sounds as good as a selection of some other Agave species called 'Meat Claw'! I sometimes do wonder how people come up with these names... although they are easier to remember to my brain then the botanical names. They’re all gorgeous! And Kris is right of course...never too many. Your Agaves look lovely. Great you got some rain--gentle and steady even better. Yes indeed, 'Cream Spike' looks very different depending on climate, age, care. One stage when the terminal spines are close to purple in color is particularly captivating. 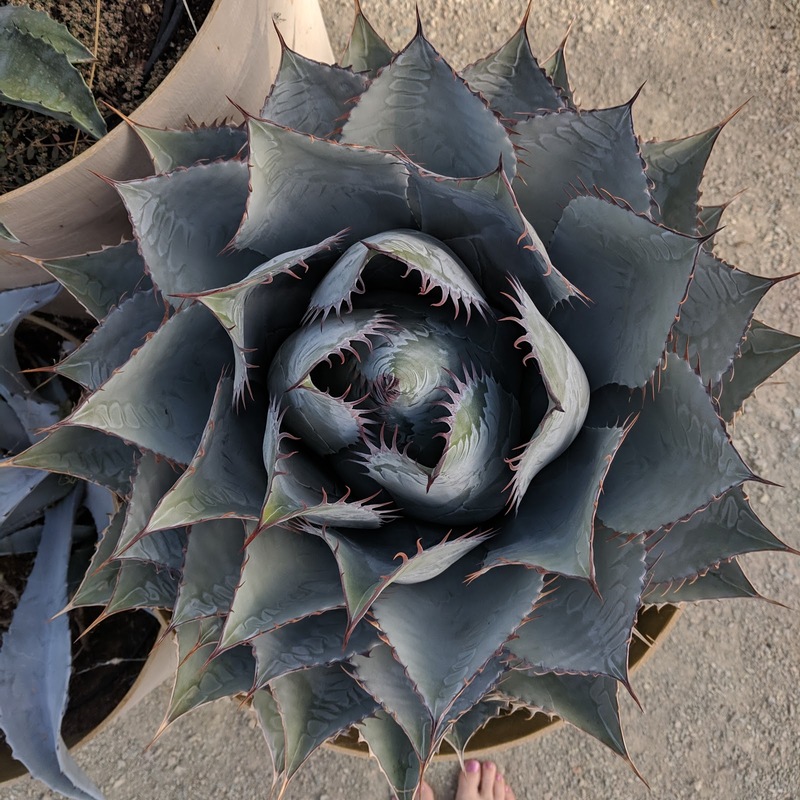 I don't think my 'Cream Spike' ever had purple terminal spines... but it seems to be putting up with our rain right now, so i won't complain! 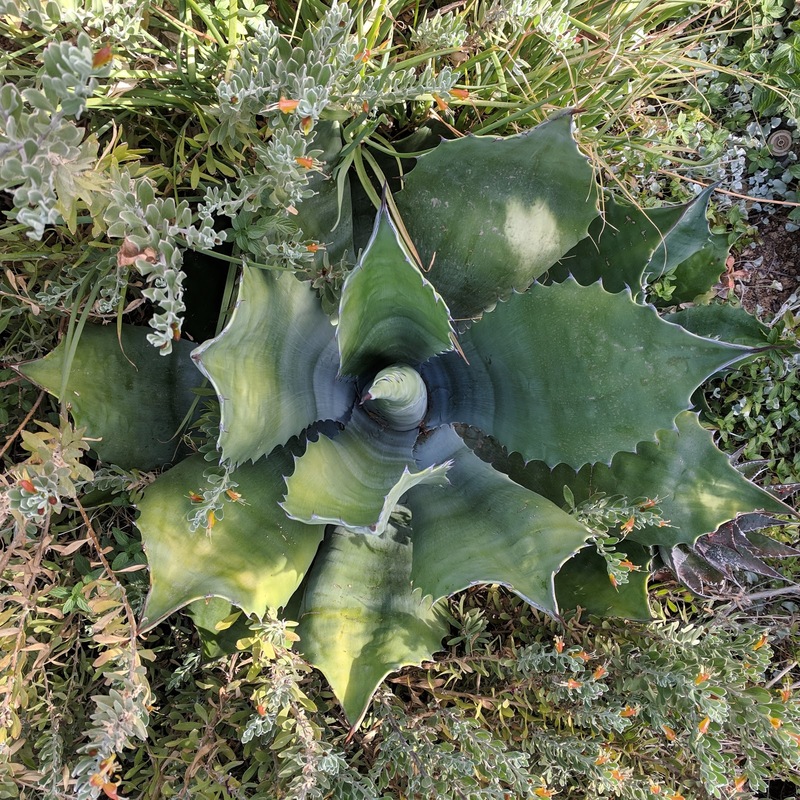 Your agaves look fantastically happy under your care -- yes, you deserve more! Thank you! 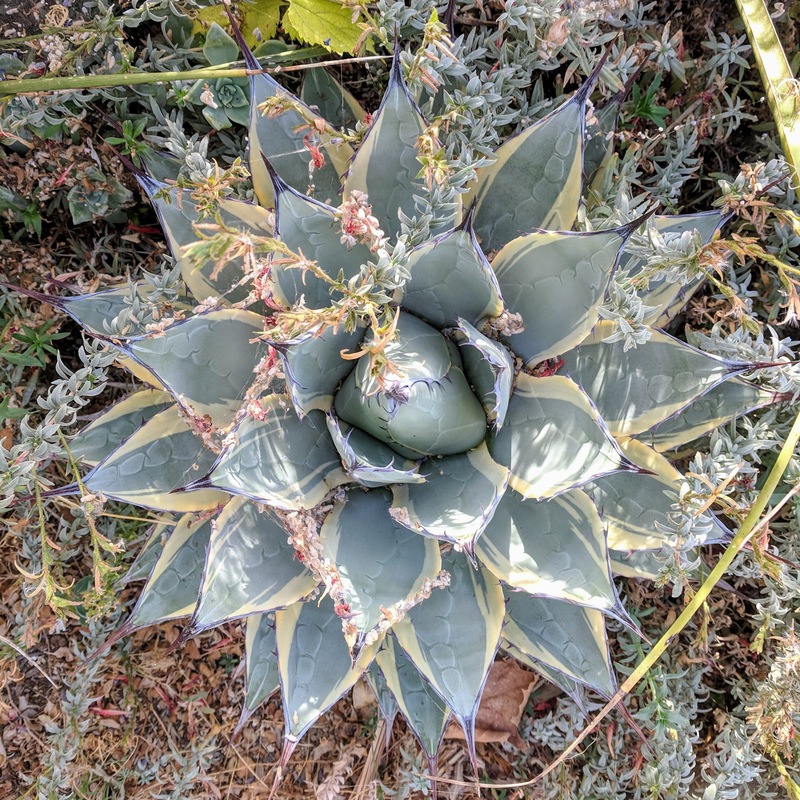 They do seem to enjoy it here, and i figure its better that i buy more agaves, and not torture things like hostas!